Ricki G Robinson, M.D., M.P.H. 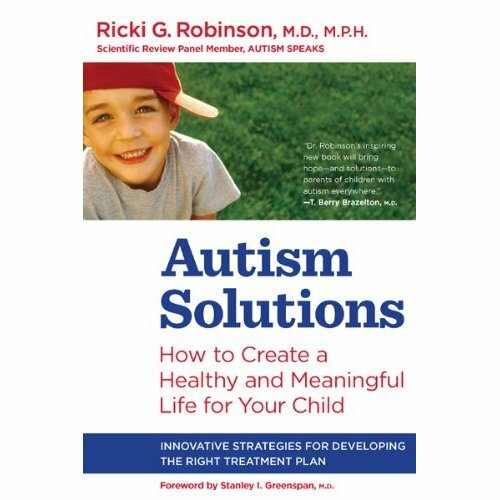 ■ Part I introduces autism and its potential causes. ■ Part II reviews the nature of our sensory-motor systems and how an infant’s development unfolds, as well as the unique developmental model that allows you to better understand your child’s strengths and challenges. ■ Part III presents my approach to the evaluation and development of treatment plans. I hope you will feel as if you are sitting in the office with me as we explore all the potential concerns for your child and help you formulate the necessary elements for his treatment plan, tailored to his needs and the needs of your family. ■ Part IV reviews communication issues—both learning how to interpret your child’s behavior as a means to letting you know what he is thinking and feeling, as well as ways to support the most challenged children who have severe motor-planning delays. ■ Part V addresses the medical issues that may affect your child. I have tried to demystify “doctorspeak” so that you will be armed with useful information to help you get appropriate medical care for your child. In addition, you should be able to ask your doctor the questions most important to solving issues as they come up. ■ Part VI puts all of this into the big picture of why you are working to get your child all the support he needs—so he will be prepared to live a happy and meaningful life. Foreword by Stanley I. Greenspan, M.D. PART I : Is It Autism?